Museum London is proud to present the 2017 film RUMBLE. Learn about the previously untold story of the Native American influence on blues, jazz, folk, pop, rock, and heavy metal. Get into the spirit of the upcoming JUNO awards in London with this Canadian-directed, award-winning (Sundance - World Cinema Documentary Special Jury Award: Masterful Storytelling, Hotdocs - Audience Award) music documentary. 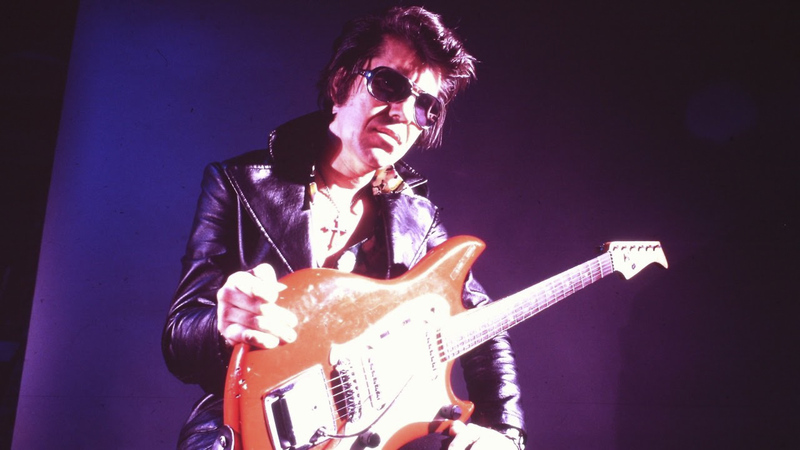 RUMBLE has a long list of music artists, historians, family members, and experts participating in the film, including: Buddy Guy, Steven Van Zandt, Tony Bennett, Taj Mahal, Cyril Neville, Ivan Neville, Martin Scorsese, Quincy Jones, John Trudell, David Fricke (Rolling Stone Magazine), Steven Tyler, Taboo, Derek Trucks, Corey Harris, Guy Davis, Alvin Youngblood Hart, Monk Boudreaux, George Clinton, Jackson Browne, Joy Harjo, Iggy Pop, Wayne Kramer (MC5), Marky Ramone (The Ramones), Taylor Hawkins (Foo Fighters), Pura Fé (Ulali), Dan Auerbach (The Black Keys), Phil Soussan (Ozzy Osbourne), Matt Sorum (Guns ‘N’ Roses), Mike Inez (Alice in Chains), Robert Trujillo (Metallica), Taboo (Black Eyed Peas), Slash (Guns ‘N’ Roses), Charlie Sexton (Bob Dylan), Rhiannon Giddens (Carolina Chocolate Drops), Pat Vegas (Redbone), Robbie Robertson, Buffy Sainte-Marie, and many others. This program is in partnership with the Museum's new Indigenous Legacies Project. Thank you to the London Community Foundation for supporting the Indigenous Legacies Project through the Community Vitality Grant. We also acknowledge support from the Smart & Caring Community Fund, the Beryl Ivey Endowment for the Arts, and the Alfred Edward Hathaway Petrie Memorial Fund (within the London Community Foundation).